On this week’s Curmudgeon’s Corner podcast Ivan and Sam spend most of the show talking about Election 2016, concentrating as usual on Trump and the craziness surrounding his campaign, including the tantalizing possibilities of a brokered convention this time around. Yeah, yeah, that gets talked about every four years and never happens, but it is fun to talk about! 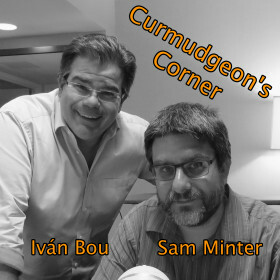 Around the edges we also discuss Sam’s new computer, the aftermath of San Bernardino, Zuckerberg’s charitable activities, and more! Trump odds Improved by comments?